If the recent weather has taught me anything it's that I am desperately lacking in the sleeveless dress department. One pit-stop at Miss Selfridge later and this problem was quickly remedied. I went down to the changing room with a whole arm full of dresses (which the girl working there definitely loved ) and, of all of them, this wasn't one that I thought was going to be a winner. After trying it on though I realised that I fancied a lot and, after checking the price tag (£29), I decided that it was love. Anyway, I should really go. I'm leaving tomorrow morning to go away for a week and so far I've managed to pack... nothing. We're off to Belladrum though so all I'll need are some festival appropriate clothes and some wellies - sorted. I'll maybe even throw a floral crown in there too, because what's more fun than festival clichés. Such a great dress & for an amazing price...lucky uuuuuuuuuu! Adorable dress... I love when I fall in love with an item, and then find out its also in my price range. So exciting. 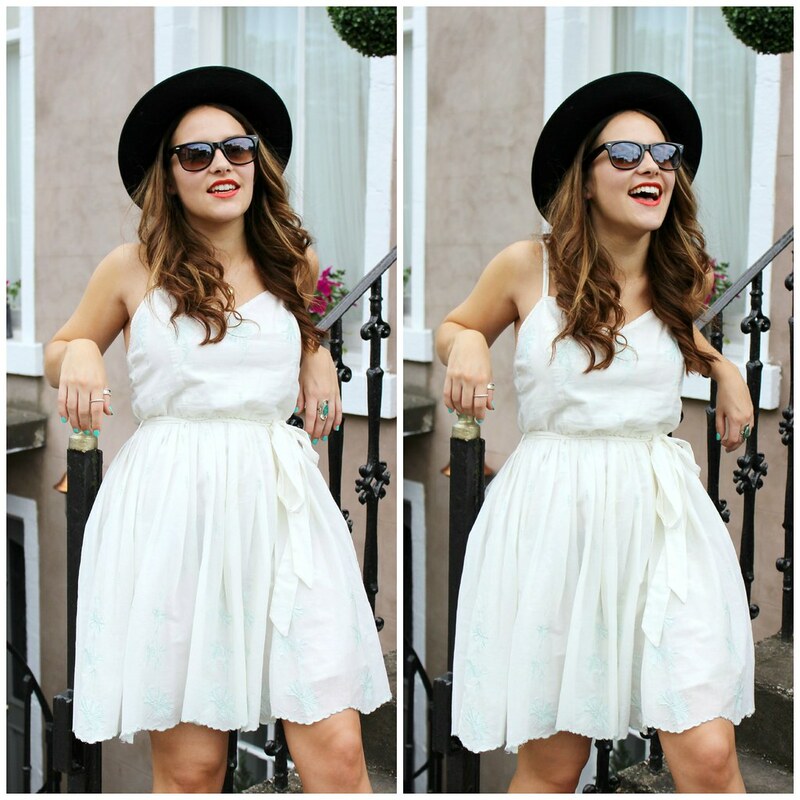 I love a white dress for the summer! wow I love your shoes so much, they're incredible! What gorgeous photos, that dress is so lovely! I hope you enjoy your little trip away... and that you finally got your packing done!! The dress is so lovely, and the sandals are amazing!!! !